Poverty on the mind: Bad decisions ahead? What explains the woeful underperformance of poor people in terms of showing up for appointments, taking meds on schedule or advancing in school? It’s easy to find multiple reasons: nutrition, education, family structure, environmental pollution and the multi-tasking necessary to work several jobs so ends can meet. 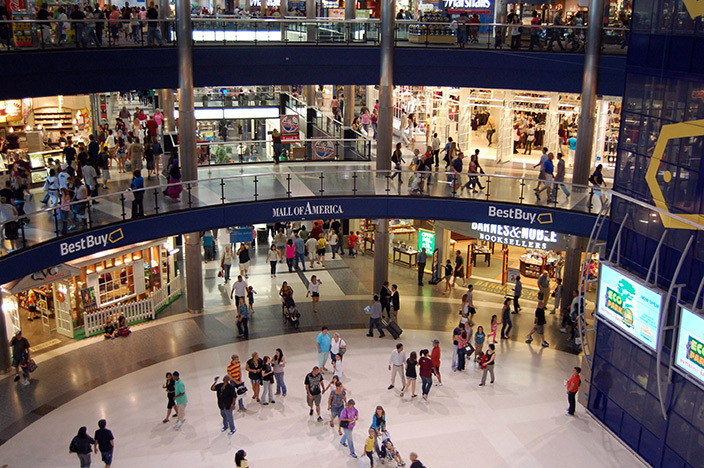 Since opening in 1992, the Mall of America in Minnesota has become one of the largest U.S. shopping malls. Today in the journal Science, scientists reported on a new category of explanation: “cognitive load” — essentially the mental burden of thinking while dwelling on money. The study found that simply thinking about a large, unexpected expense, or facing a real, but temporary, shortage of money can slash performance on tests of concentration and problem-solving. Rich people — defined as having an income above the $70,000 U.S. household median — performed equally well, no matter which repair bill they had just discussed. But the cost of the repair was critical to the poor, defined as those with an income above $20,000, but below the median. The poor people who pondered the $150 bill performed just as well the rich people, but their ability to focus and solve problems plummeted after thinking about the $1,500 expense. That “wondering and worrying” is key to the results, as it represents what’s called “cognitive load,” a kind of dragging brake shoe on the brain’s processing power. Taking a final exam while obsessing about the outcome of yesterday’s job interview. In a second group of experiments, the researchers tested Indian sugar farmers before they were paid for their harvest — when money is usually scarce — and again afterward. In the post-harvest tests, responses came quicker, accuracy was higher and the subjects were less distracted by irrelevant elements of the test. 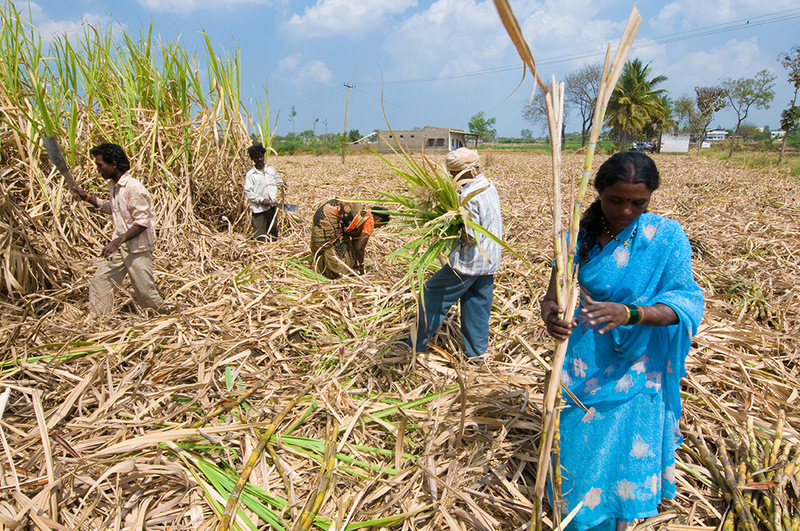 Sugar cane harvest in Karnataka, Southwest India. But we wanted to know if this was a true test of poverty. The same farmers were tested twice, and we wondered: Could their status change from month to month? Before the harvest, the need to scrimp, borrow and go hungry were reflected in their test performance. In the mall and the sugar field, “poor” may not be the ideal term, Shafir admits. “We are talking about people who are very concerned with budgeting, and that takes away from their cognitive bandwidth” to solve problems, he says. We asked Shafir why cognitive load has been little used in the study of poverty. “If you work in cognitive science, you are studying the way mental life happens, the way the brain functions, and you don’t care if you are studying Koreans, Chinese or Americans, or the poor or the rich,” he says. 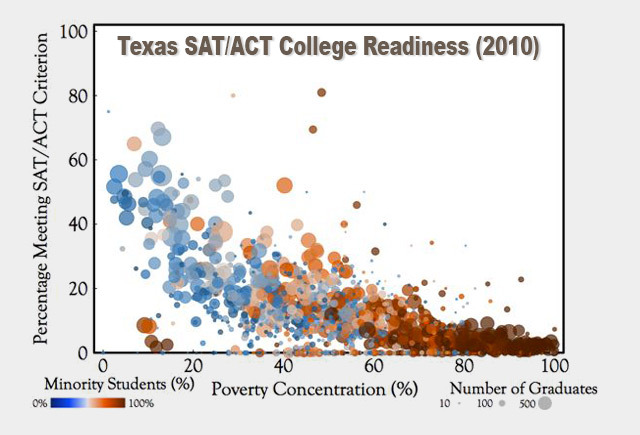 SAT and ACT scores in Texas correlate with race and income. Notice how poverty reduces the percentage of students who are ready for college. Each dot represents one high school. Timothy Smeeding, director of the Institute for Research on Poverty at the University of Wisconsin-Madison, says the research is “very important,” especially in explaining why poverty is often passed from one generation to the next. There are other explanations for poor mental functioning among the poor, such as higher rates of disease, poor nutrition and environmental pollution, so the new results are not a comprehensive explanation, Smeeding says. The cause of bad decisions “could well be overloaded circuits, but it may also be because of health status, genetics … or even because of having a poor education,” he says. In practical terms, Smeeding notes, the study “pushes the boundaries of science in ways that we may be able to alleviate through policy.” Emergency savings programs or faster access to income support could “allow the poor some cushion or help reduce the cognitive load, enabling better decisions in various realms,” he says. Indeed, the Science authors suggest that simplifying government forms or providing child care for people as they deal with bureaucracies could improve decision-making by reducing cognitive load.